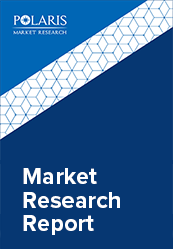 The global commercial aircraft aftermarket parts market size was valued at USD 28.7 billion in 2017 and is anticipated to grow at a CAGR of 6.6% during the forecast period. The market includes activities required for maintenance of commercial aircrafts after initial sale till the end of its lifecycle. Moreover, the market supplies components such as MRO parts, spare parts, rotable replacement parts, spare parts, accessories, lubricants, and appearance products required in repair and maintenance of commercial aircrafts. The demand for commercial aircraft aftermarket parts products has increased owing to growing need to maintain and repair aircrafts in order to increase longevity and address safety concerns. Growing airline fleets as well as increasing demand for replaceable components among others drive the growth of the commercial aircraft aftermarket parts industry. The major driving factors of the market include growing aviation industry, and increasing manufacturing of aircraft components. The growing need for proper maintenance, upgrade, and repair of commercial aircrafts for enhanced safety and efficiency supports the growth of the commercial aircraft aftermarket parts industry. The increasing air traffic, and renewal of aircraft fleet further increase the need for periodic repairs and replacements of aircraft parts. Increasing average age of commercial aircrafts also encourages companies to maintain their fleet. Other factors driving the growth of commercial aircraft aftermarket parts industry include rising demand for fuel-efficient commercial aircraft, and increasing use of 3D printing in the aircraft manufacturing process. Expansion of established companies into emerging economies, growing demand from developing countries, and increase sales of aircraft components through online channels would provide numerous growth opportunities in the market. The global Commercial Aircraft Aftermarket Parts market is segmented on the basis of product type, aircraft type, and geography. Based on the type of product, the Commercial Aircraft Aftermarket Parts industry is segmented into MRO parts, rotable replacement parts, and others. The MRO parts segment accounted for the highest share during 2017. The report segments the aircraft types into wide body aircraft, narrow body aircraft, and regional jet. The report comprises a detailed geographic distribution of the market across North America, Europe, Asia-Pacific, Latin America, and MEA. North America is further segmented into U.S., and Canada. Europe is divided into Germany, UK, France, Italy, Spain, Belgium, Russia, Netherlands, and Rest of Europe. Asia-Pacific is bifurcated into China, India, Japan, Korea, Singapore, Malaysia, Indonesia, Thailand, Philippines and Rest of Asia-Pacific. North America accounted for the largest share in the market during 2018 owing to growing need for upgrade, and repair of commercial aircrafts, technological advancements, rising demand for fuel-efficient commercial aircraft, and increasing air traffic. The vendors in the Commercial Aircraft Aftermarket Parts industry are launching new products to meet the growing customer needs. In addition, the leaders in the market are acquiring and collaborating with other top companies to enhance their offerings and expand their customer base. The market is highly competitive with the presence of a large number of small and large vendors. Vendors offer products and services required for repair and maintenance for aircrafts. The leading players in the Commercial Aircraft Aftermarket Parts industry include LKD Aerospace, B/E Aerospace, Inc., Atlantis Systems Corp., Aventure International Aviation Services, General Electric Company, Pratt & Whitney, A J Walter Aviation Limited, Rockwell Collins, Honeywell International, and BF Goodrich among others.